It was now the final day of the convention and I was up early because there were things to get done early. It didn’t help my progress any that as soon as I got into the bathroom (just as the morning alarm was going to go off) my nose started bleeding. That took a few moments to clean up and gave me a headache for a bit. But I survived it. Got downstairs and had another go and the Merry Manor Inn’s breakfast buffet. Once again good stuff and some juice and meats got me going for the day. First order of business was getting everything packed and out the door for check out. 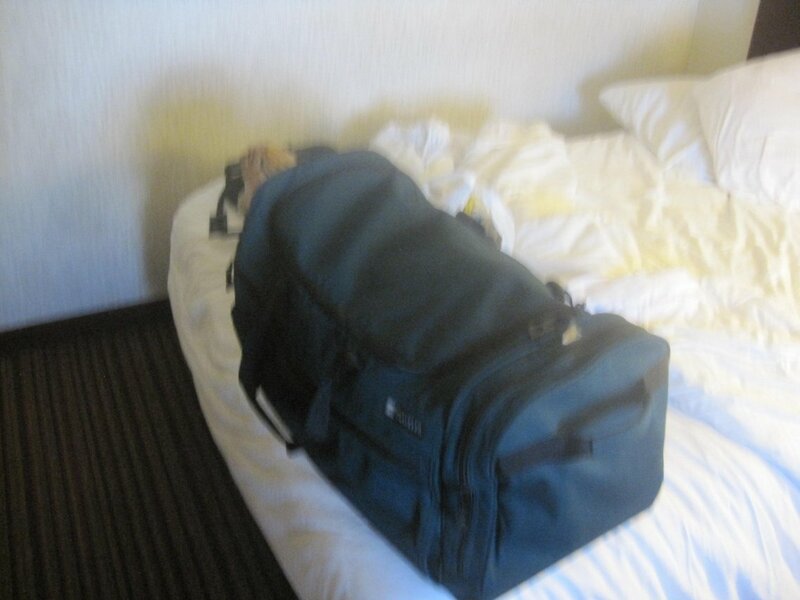 Most of my stuff was packed up the night before and check out was just as easy as checking in. Everything went smoothly with the front desk at the hotel and I was on my way. The Merry Manor Inn delivered once again. 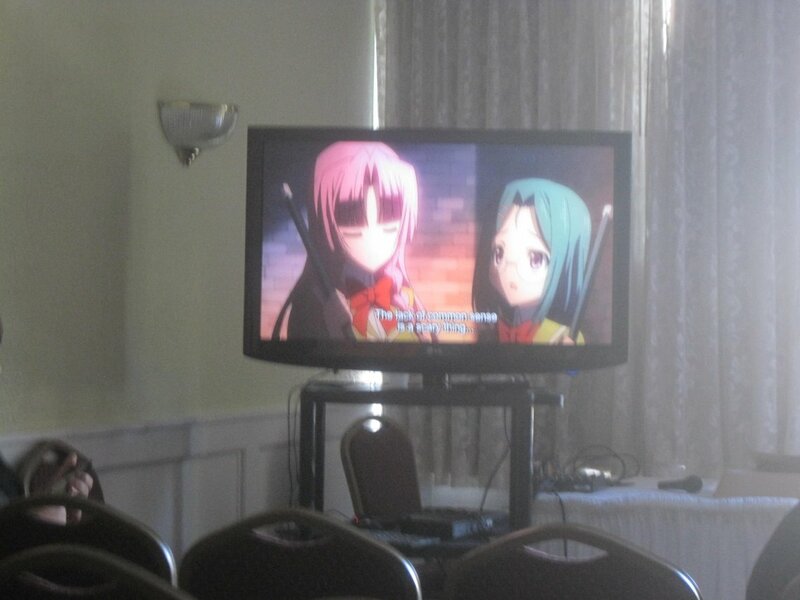 The first Panel of the convention day was saying goodbye to a friend. 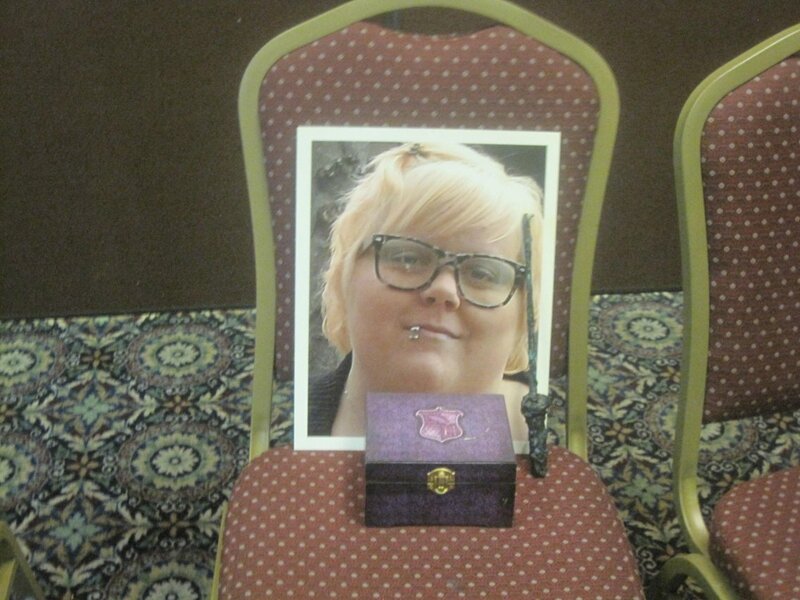 Since the last convention, we had lost a member of our geeky con family in Kat “Fluffy” Henderson. 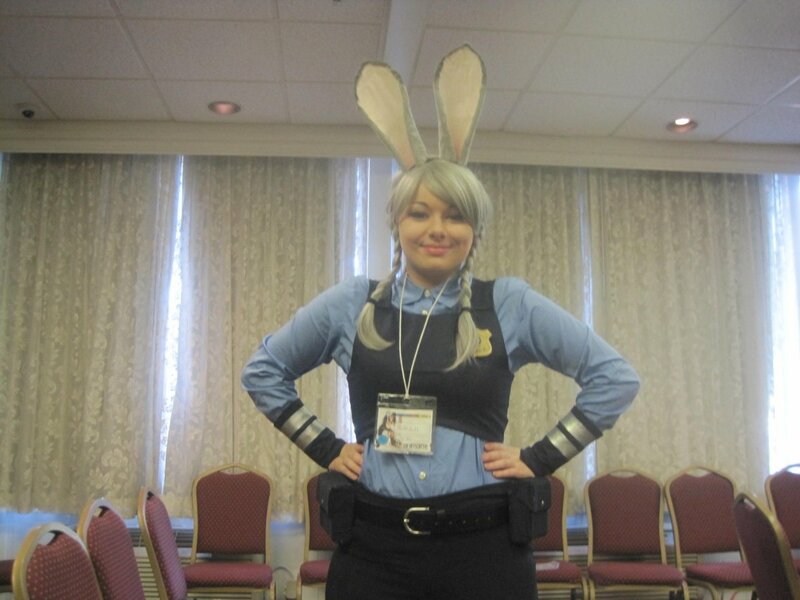 She was a long time member of con security and one of her best friends led us in a moment of celebration and remembrance of her. Her parents, stepmother, and her brother were there, along with a number of us that knew her. It wasn’t sad or serious, because that was not Kat’s way. There were Harry Potter wands, glow sticks, Internet music, and a LOT of good stories. There were good times to be remembered and it was the first time I had met her family. Many of us were holding back some tears, but we all had smiles and good memories. Thanks, Fluffy. Missed you. After clearing my head a bit it was time for a Q&A with guest Kaitlynn French. 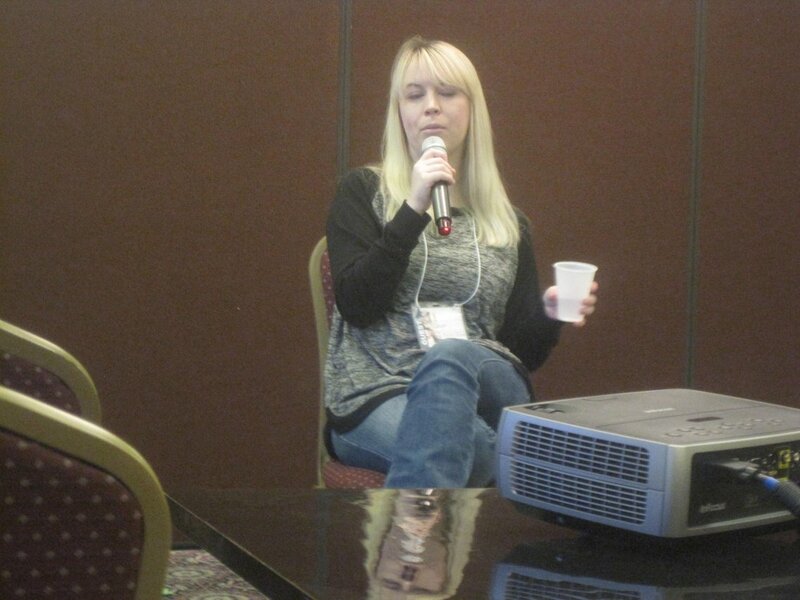 She had done a few panels during the con but this was a panel to ask about her. I was actually looking forward to this as we are both BIG Pro wrestling fans and figured we could relate. We Did. She is awesome. We killed some time going to the main room and checking out the Noodle Shop Booth again. 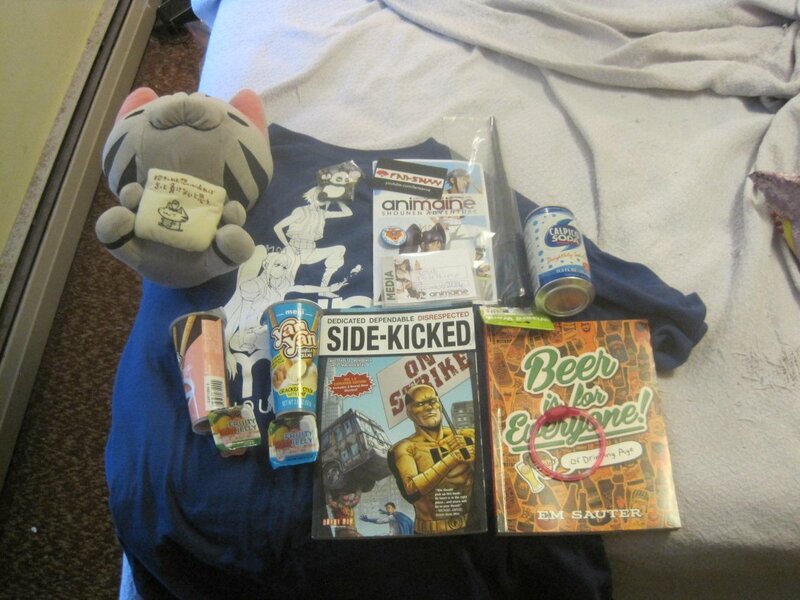 I picked up a copy of Em Sauter’s book “Beer is for Everyone!” and some cheap Yan Yan and Jelly Snacks they were discounting. I also picked up a Plushie Cat! After getting some last minute stuff, I headed to one of the video rooms for a showing that honestly, I don’t remember what it was because no one there cared. It was the last day and it was more chilling out than anything. 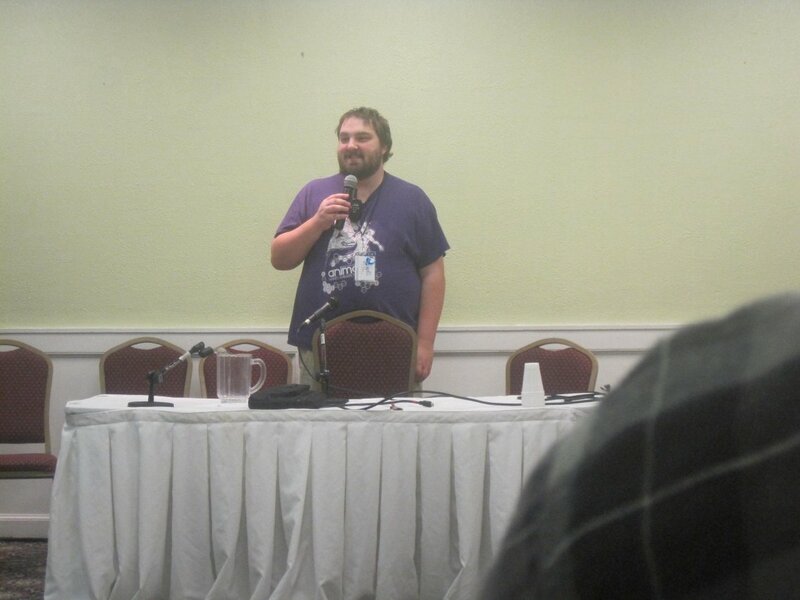 Scott Meltzer had a panel of Anime Fan Parodies through the years and the history behind them. He brought up many that were done over the years, including his own (This is Otakudom, STEAM the movie, Fanboy Soze) Clips were played and lots of laughs were had from some of the others that have been part of Anime Conventions throughout the years. 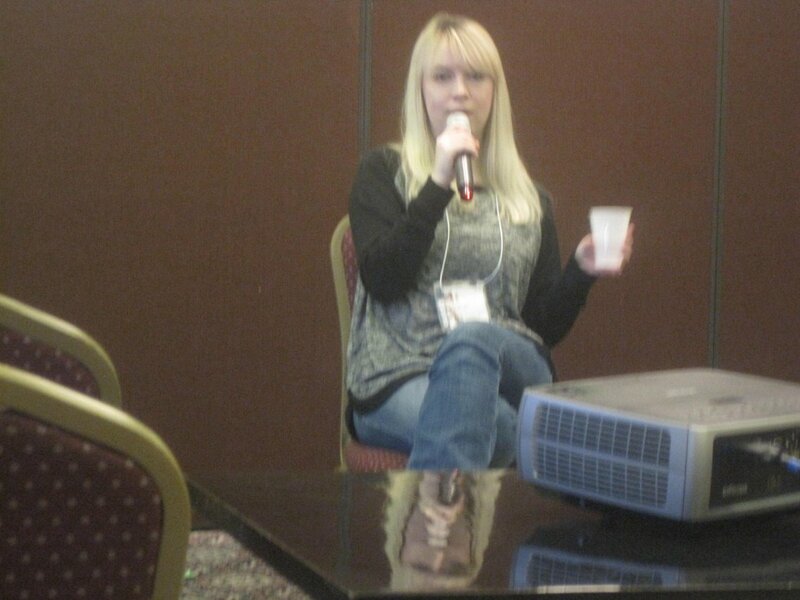 Guest Em Sauter had a Q&A panel of her own and more stories and good times were had. She didn’t appear to have any effects from the panel the night before and really blew my mind when she had said she grew up in my home area and went to Summer camp long ago in a place close by. THAT was not expected..at all. I do not come from a big town and having a reference to it HERE was a shock. The convention was finishing up and we got around. I got talking to Rose, the official Cosplayer of the Mascot. Remember in an earlier report I mentioned that Malika, AniMaine’s official mascot had a new friend this year? I asked Rose if that character ever got officially named. He was. It was even in the guide (that I never read). It was Makoto, named from a “Longtime Attendee” as it says in the book. Great time to find out the new Mascot took the name you suggested right before the last panel of the convention. By the sounds of it, I was the only one who actually made a suggestion. Cool to know though! We all gathered in the big room again for the Closing Ceremonies hosted by Con Chair Chris Perry. We all had good memories of the con and thanked the staff and guests for an awesome time. 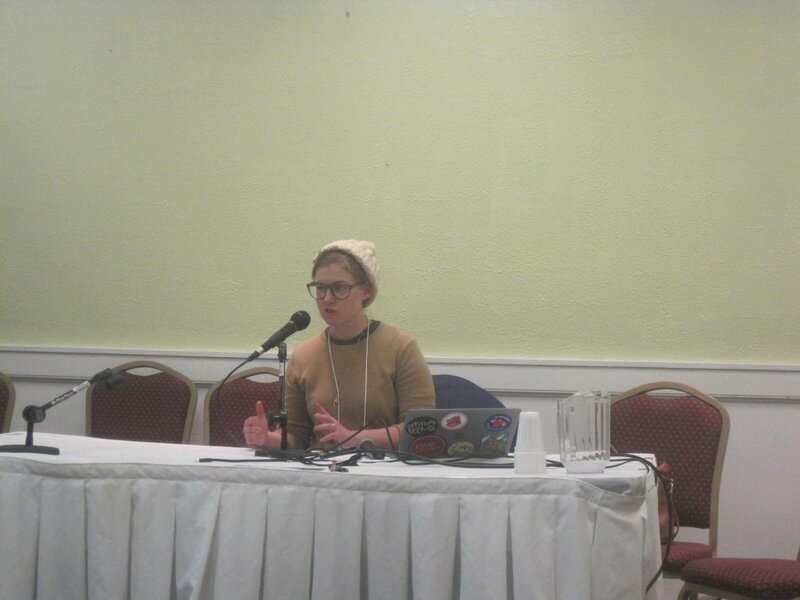 There was a feedback panel, and there was nothing bad to say. It made a great way to end things as we all headed out and ended an amazing get together of AniMaine! As it has been for the 8th year, it was an incredible get-together. Fun experiences were had by everyone and new friends were made. 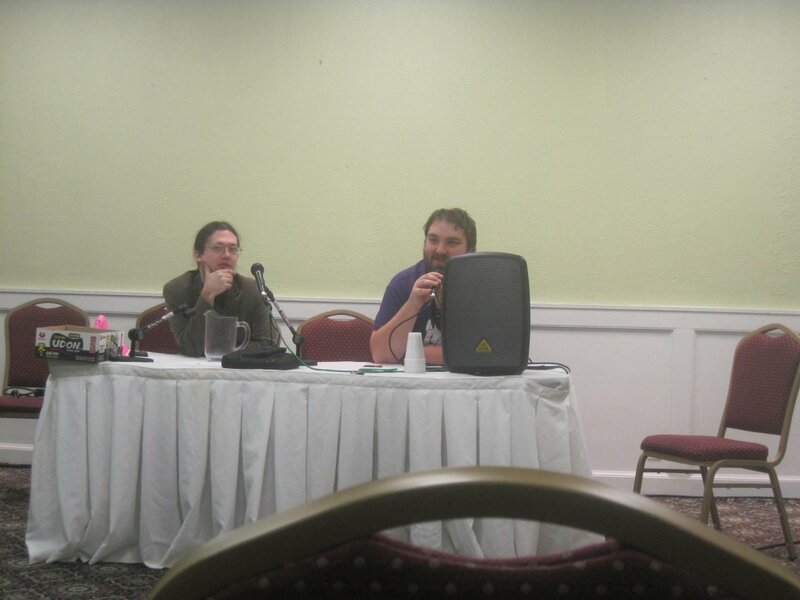 Nothing terrible happened and with the feedback panel going so well, many of the others had a good time too. 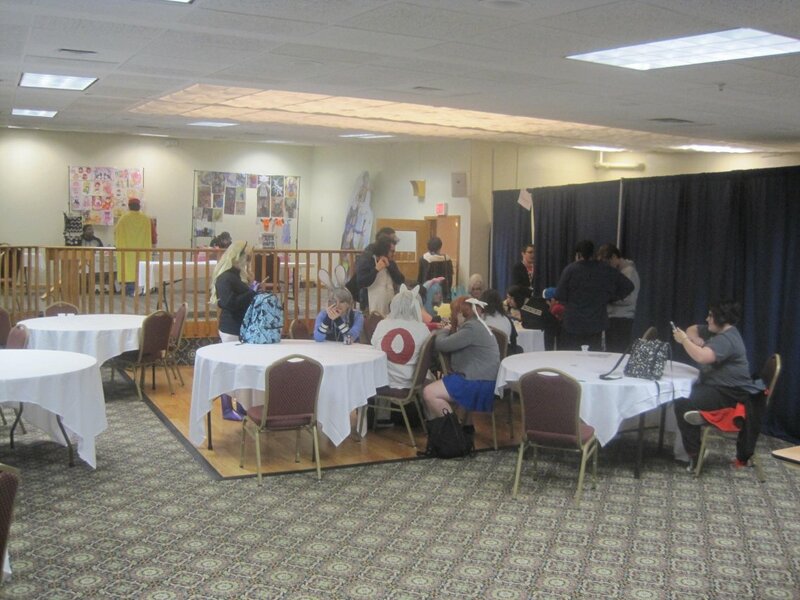 The theme for next year is “Magic” but as a “Longtime Attendee” of all these AniMaine conventions, they have been doing that magic since the beginning. Glad for any of you that read through these write-ups here for Damn Write! It was a pleasure to be there and be able to write such positive things about it. I hope you all will get to experience AniMaine for yourself and Take part in what has become our gathering of friends and family. 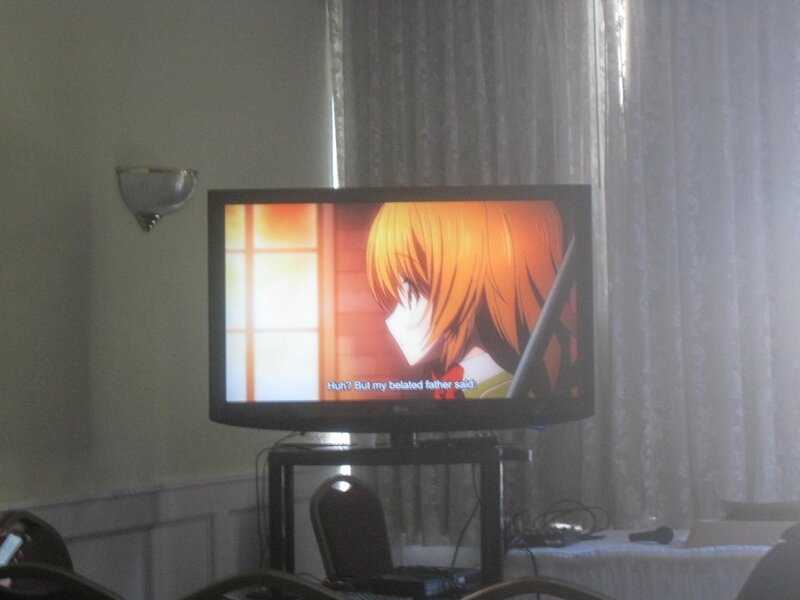 Posted by soultsukino on November 13, 2018 in Soul Tsukino and tagged 2018, AniMaine, anime, convention, Damn Write!, Soul Tsukino.